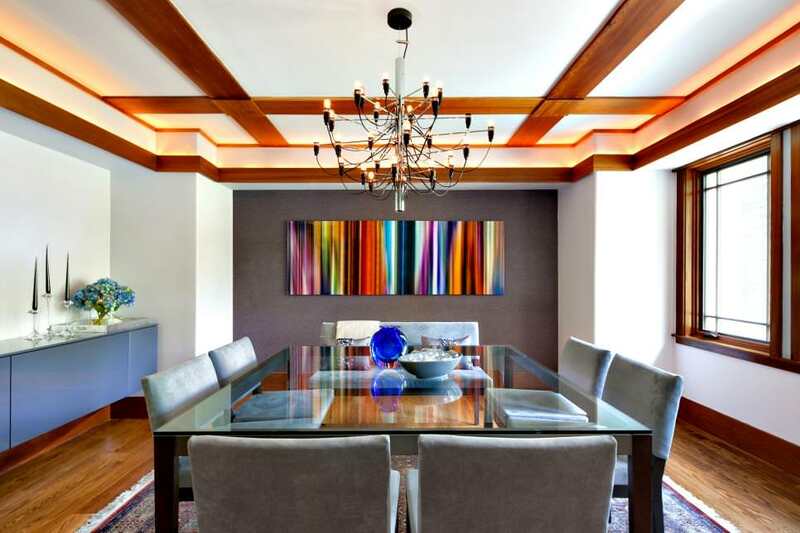 Dining room of your home is that special corner in which you gather up with your family and enjoy a sumptuous dinner or lunch every day or on holidays. 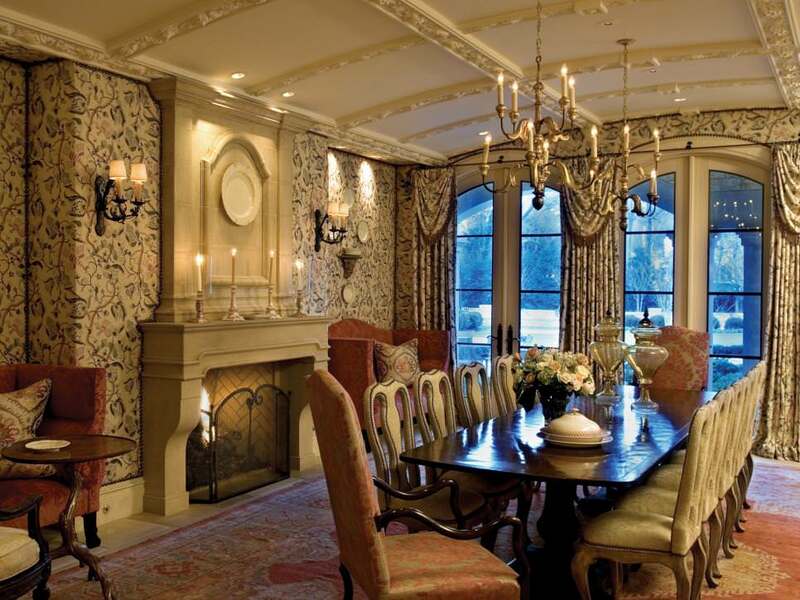 While decorating this particular nook of your home, you can be either traditional in choosing your decor or contemporary or a marvelous merger of the two bringing out your signature style. 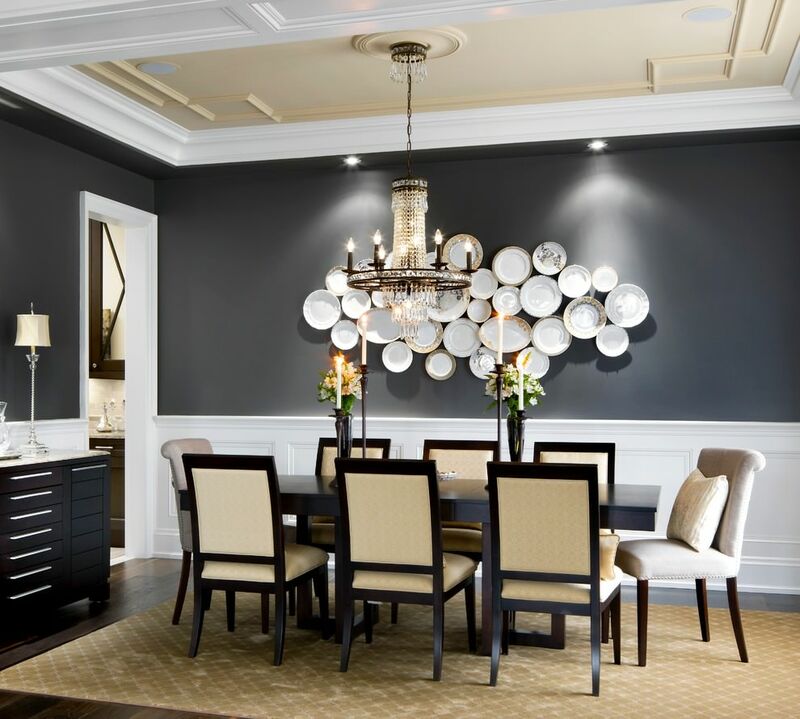 A crisp white wall with large skylights enabling easy flow of natural light is a timeless wall decor being complemented with right sitting arrangement. 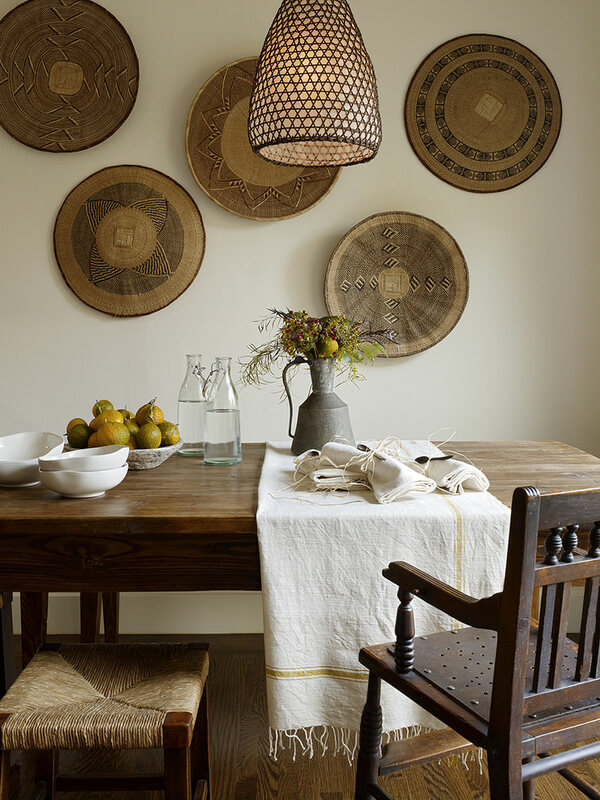 To add a hint of rareness to your wall decor, fix a giant world map on the wall of your L-shaped kitchen area. 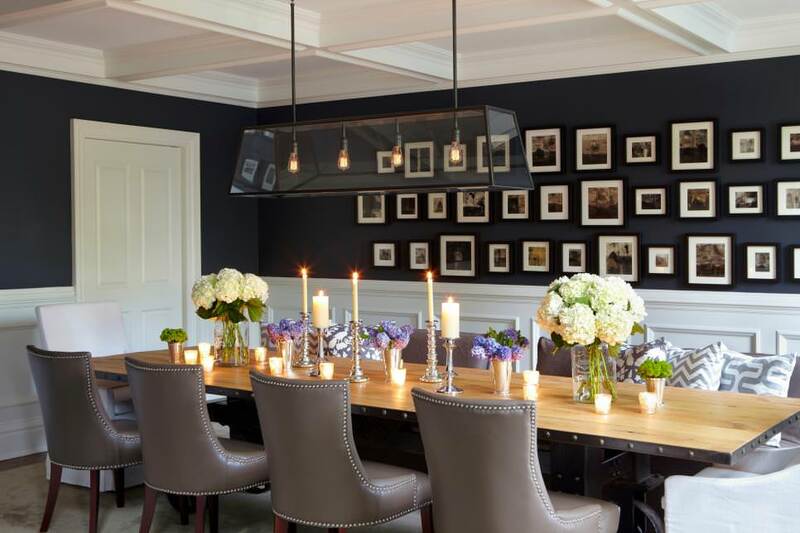 You can indulge in a lively discussion on various places of the world and over a gourmet dinner with family members or friends. 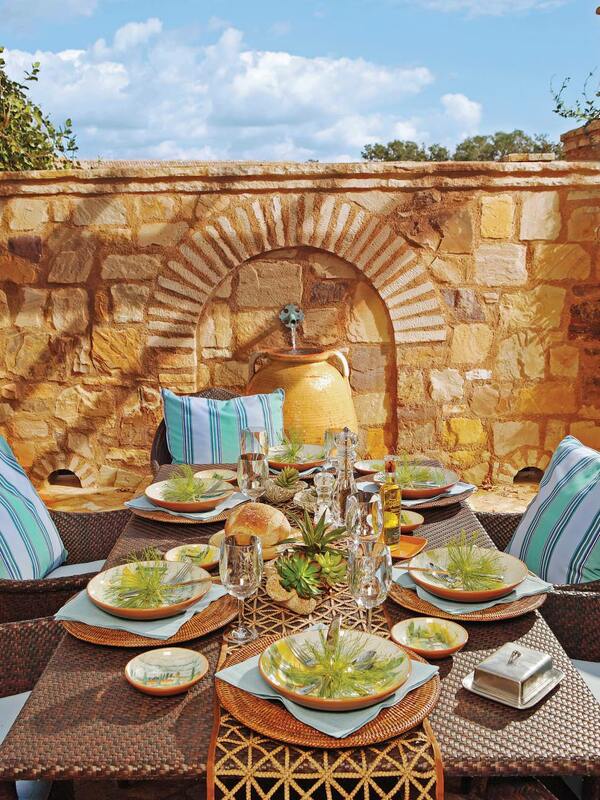 In that way eating will be a more pleasurable experience than merely satiating your appetite. 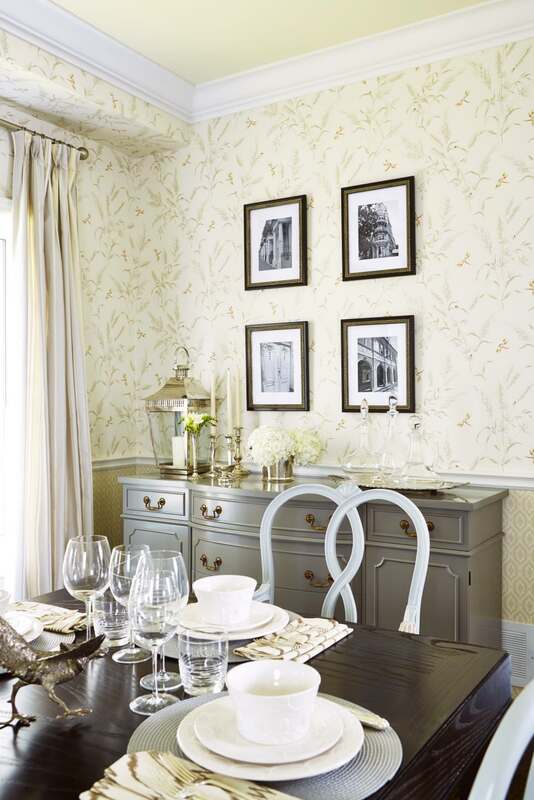 You can use textured wallpaper for a world map to give a perceptible feel which can be a signature of your taste. 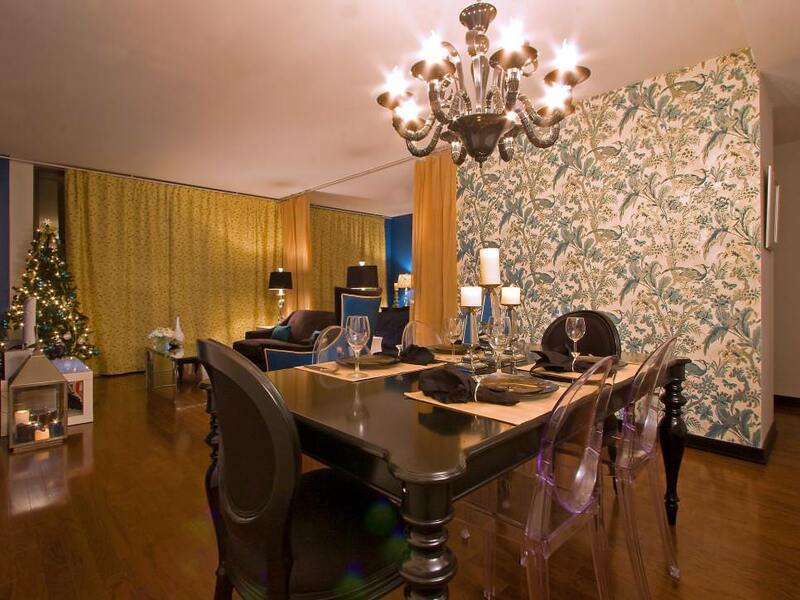 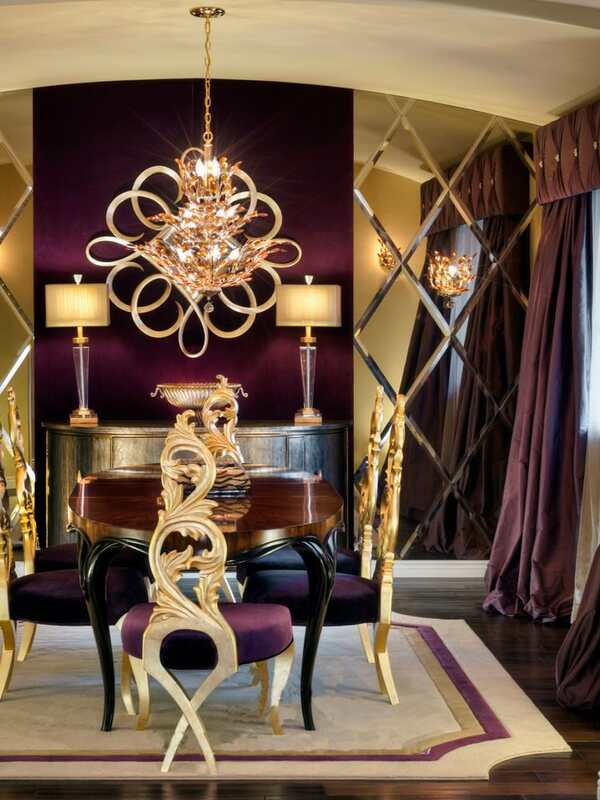 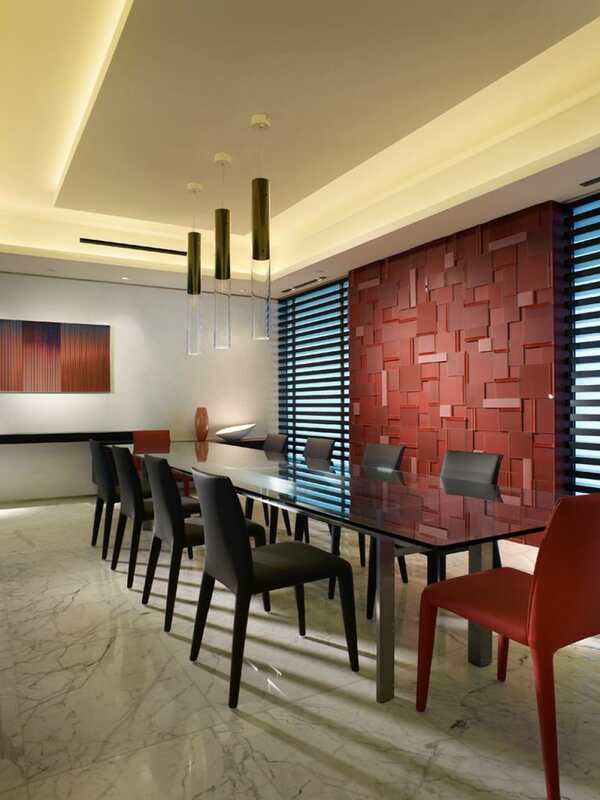 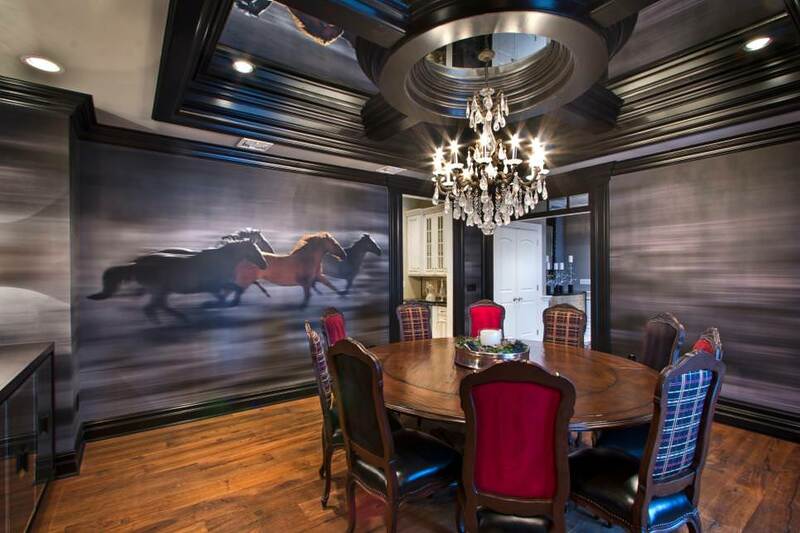 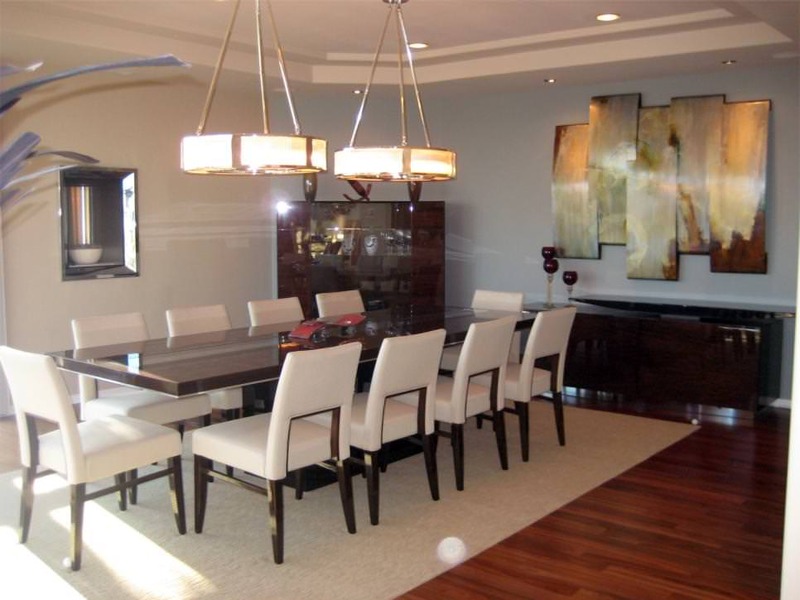 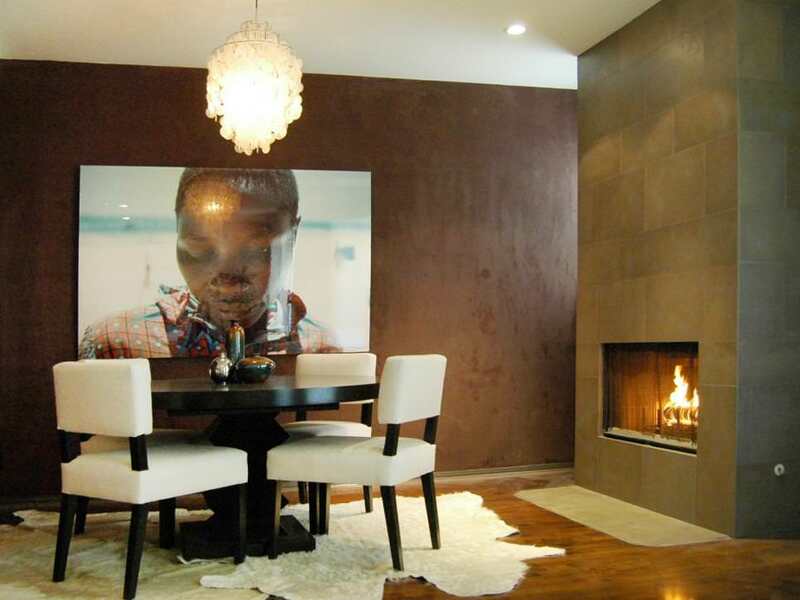 In various ways you can deck your dining walls provided you have panache for innovation and taste for sophistication. 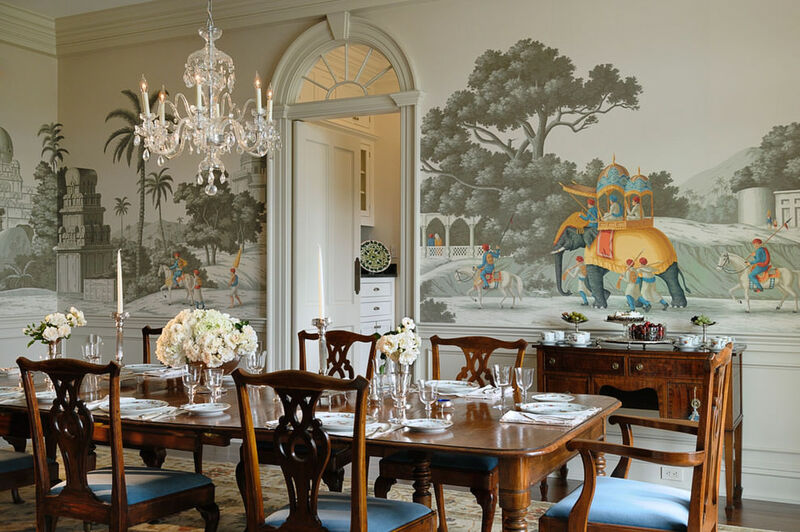 You can use floor-to-ceiling graphic wallpaper matched up with long drapes or pain table wallpapers available now in online stores. 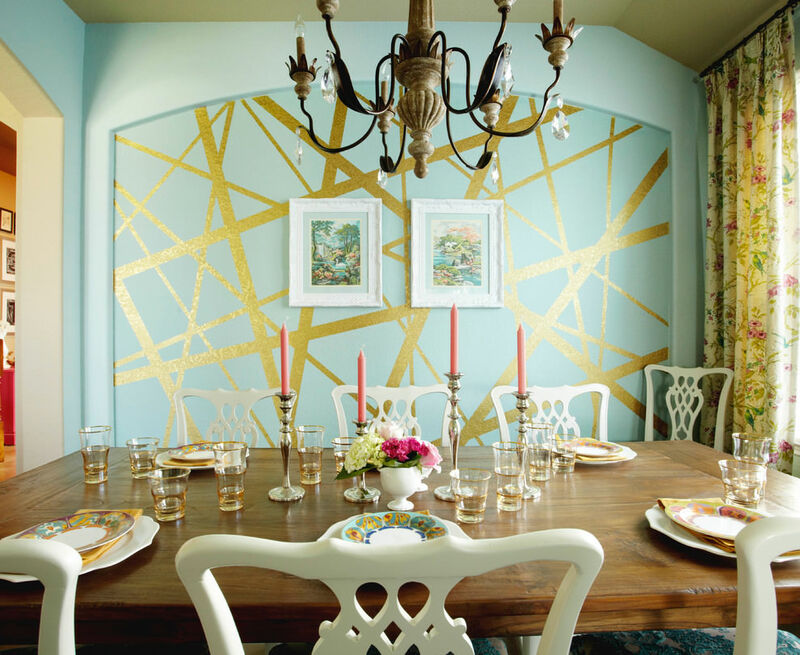 Geometric or floral wallpaper designs are available in wallpapers from which you can opt for the one suitable for your dining space. 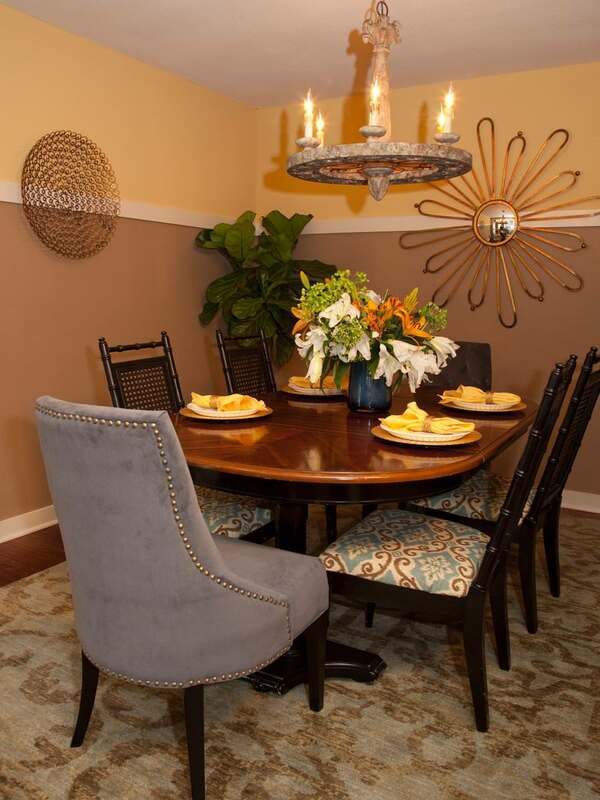 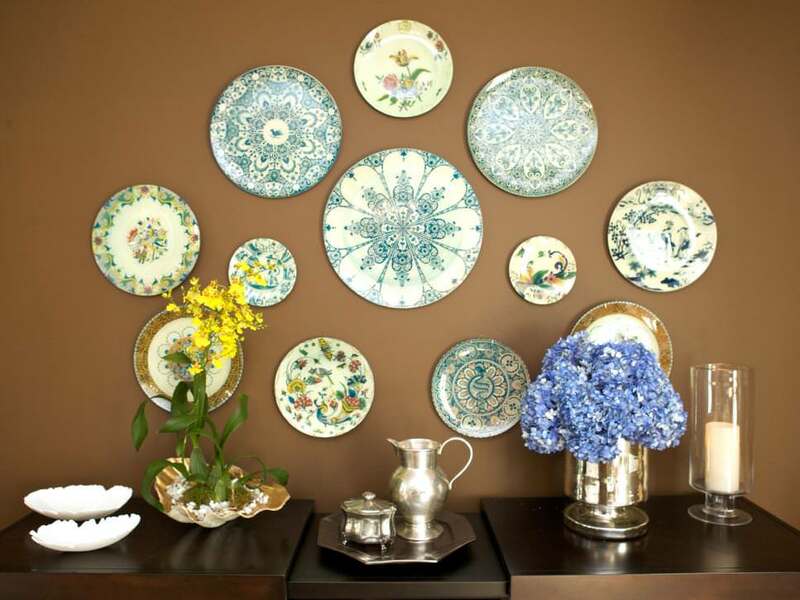 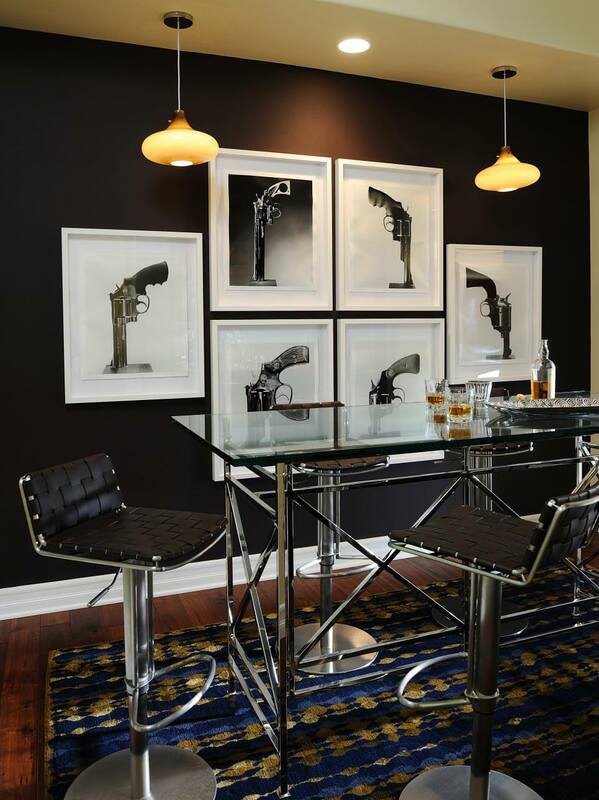 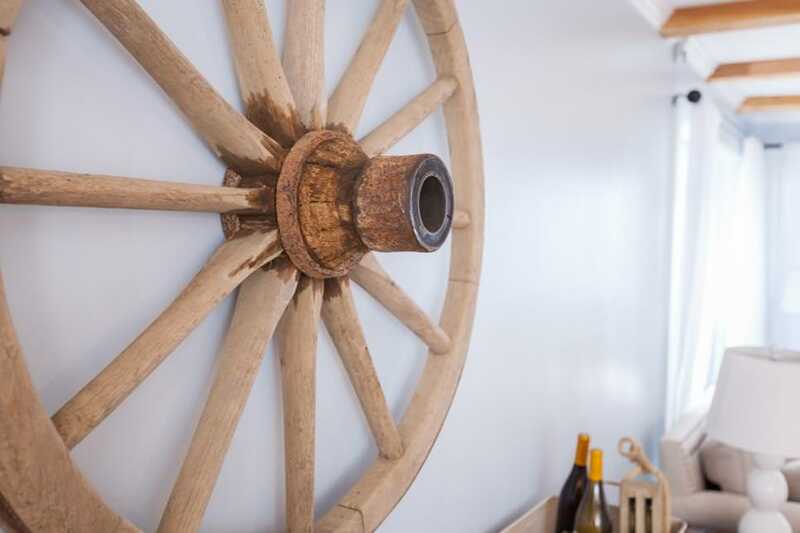 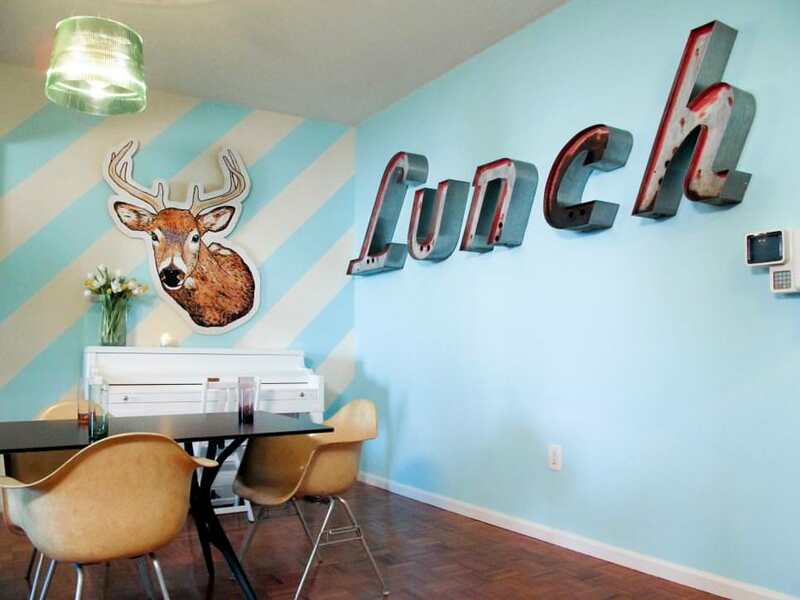 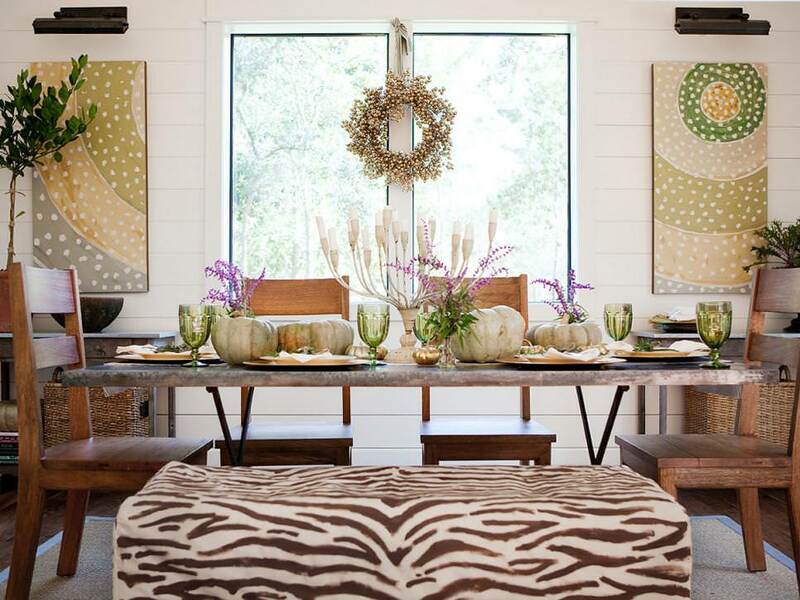 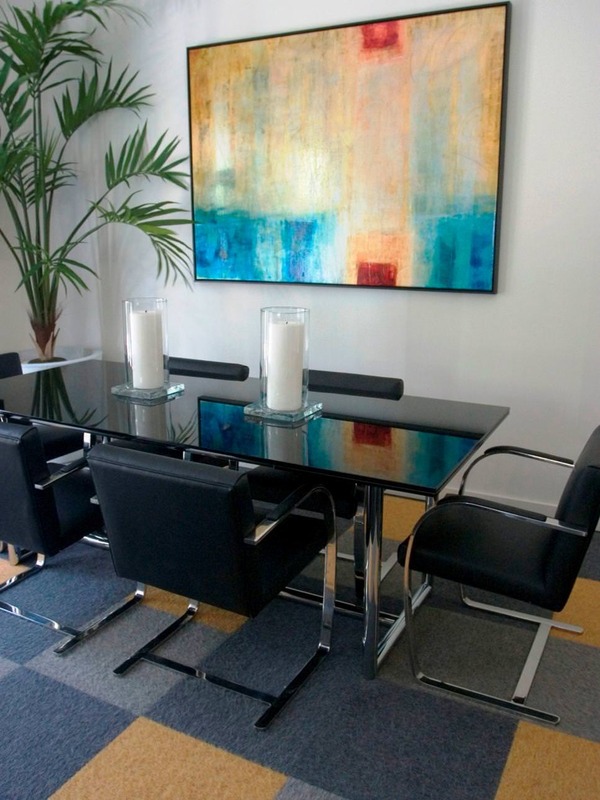 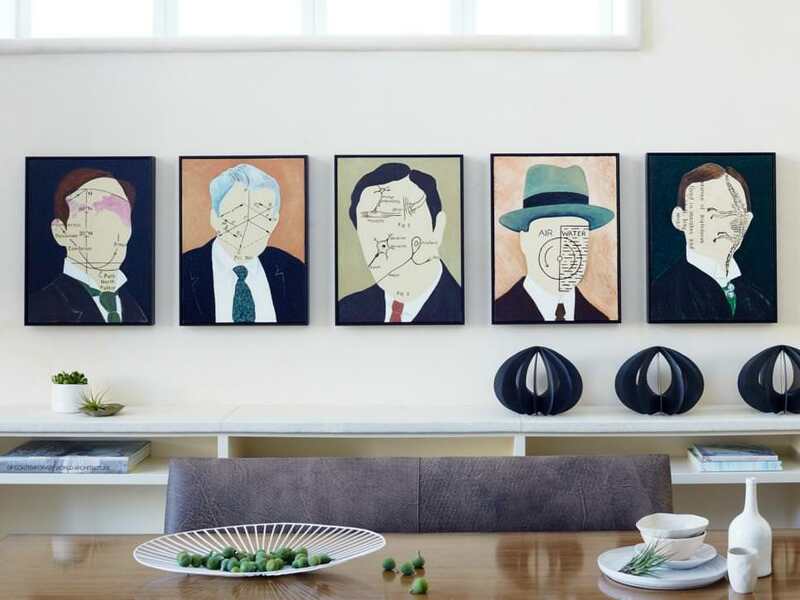 While choosing the wall decor, make sure the position and condition of your dining wall. 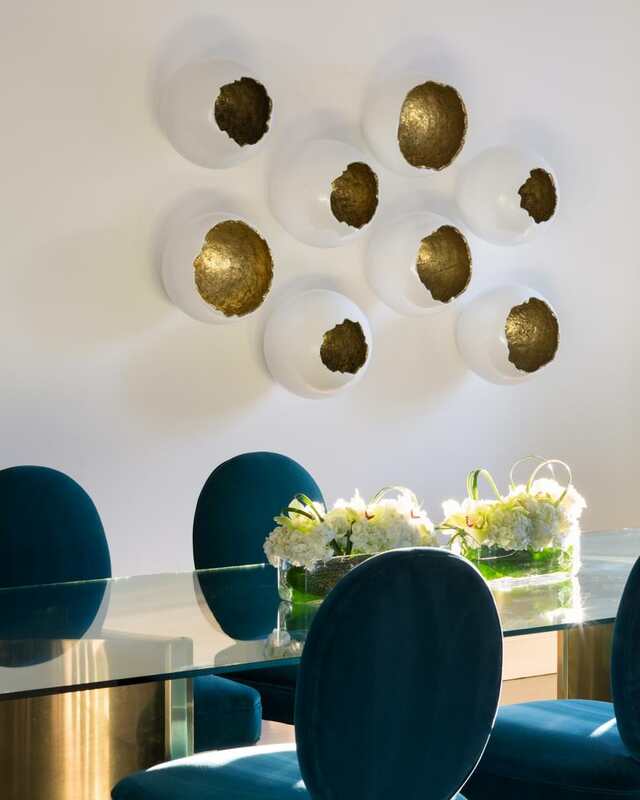 To get best ideas, consider discussing with a professional interior designer or refer to various online magazines that are ready to help you choose your best home decor.